In this lesson, we will learn how to measure the length of line segments in real-life objects using a ruler and to compare different lengths. Sherif needs two pieces of string that are and 12 inches long. Determine the total length of the two strings. Samar has 7 books. 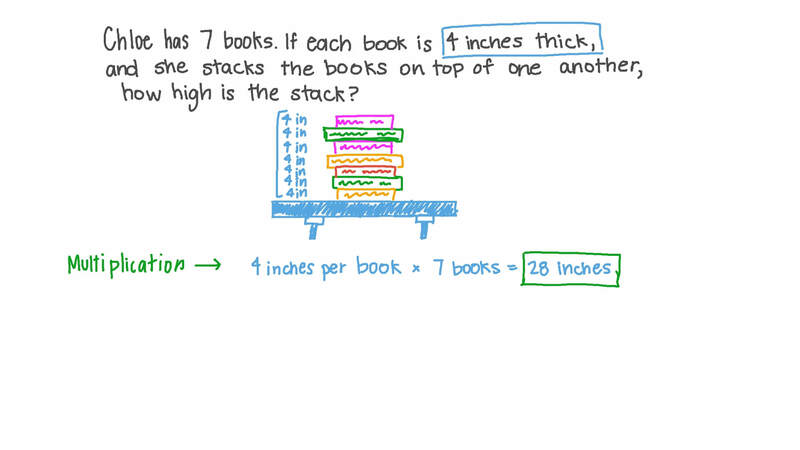 If each book is 4 inches thick, and she stacks the books on top of one another, how high is the stack? Find the length of the given object. 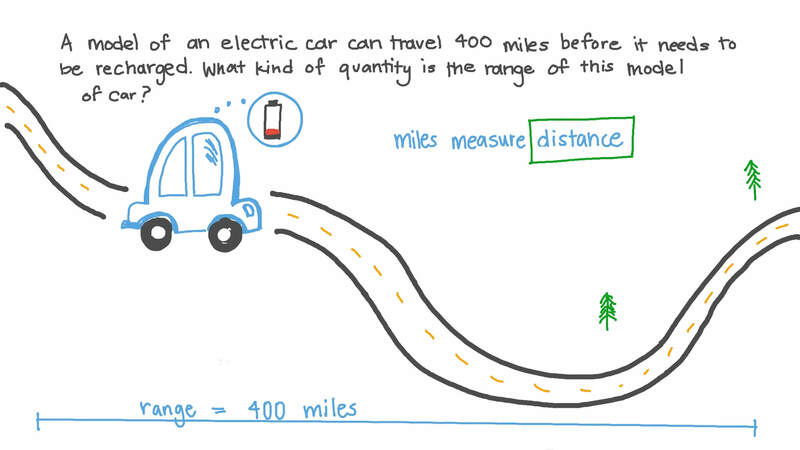 A model of an electric car can travel 400 miles before it needs to be recharged. What kind of quantity is the range of this model of car? Ramy bought a -feet-long power cable for his computer. If his computer is 5 feet away from the power socket, will this cable reach? Measure the length of the blue line. Sally’s hair is 14 inches long, while Adam’s hair is inches long. What is the difference between the lengths of their hair? Sameh and Engy measure the toothbrush as shown. Sameh says that the toothbrush measures between in and in. Engy says that it measures between in and in. Whose statement about the toothbrush’s measure is correct? Sherif and Rania measure the key as shown. Sherif says that the key measures between in and in. Rania says that it measures between in and in. 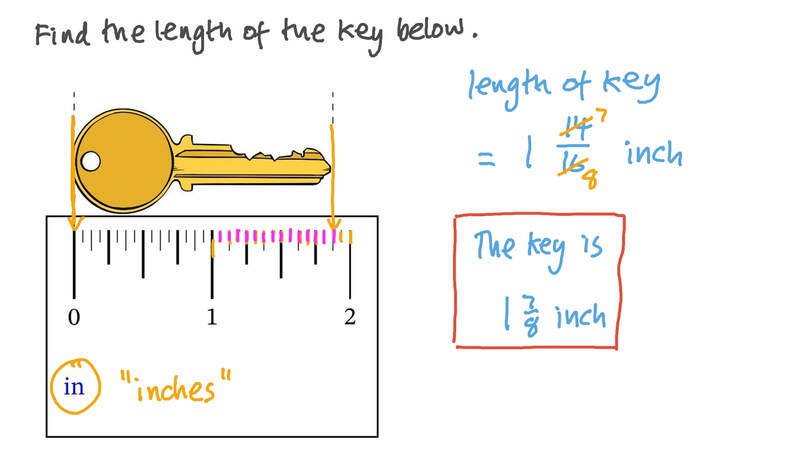 Whose statement about the key’s measure is correct?